LOIs were due April 1. All teams invited to submit a full Application have been notified. Now more than ever, California State University (CSU) campuses need to strengthen the ability of middle leaders—students, faculty, staff, and administrators—to address the equity mission of the CSU. 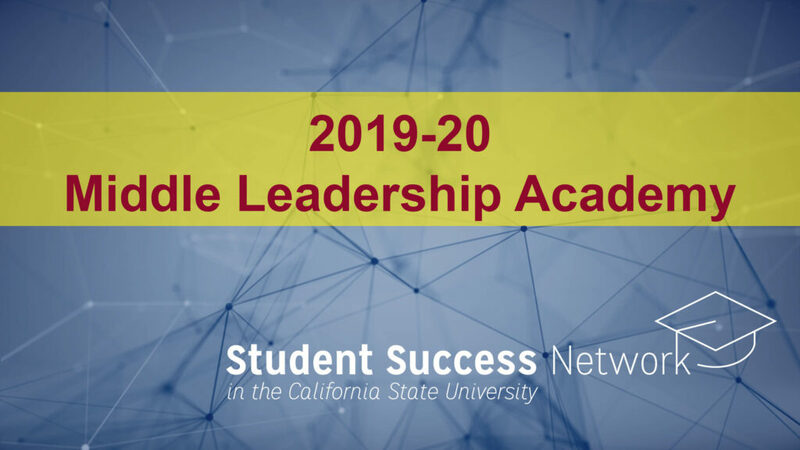 The CSU Student Success Network invites cross-functional teams to apply for the 2019-20 Middle Leadership Academy. The Academy engages campus teams comprising faculty, staff, students, and administrators in a year-long institute spanning three intensive Thursday-Saturday sessions. A facilitator partners with each team throughout the year to help guide teams and provide targeted support. The Academy is grounded in a problem-based learning model that motivates participants to “lead from the middle” as they explore and apply strategies to support student learning, engagement, progression, and success on their campuses, with a focus on closing opportunity and outcomes gaps. The Academy focuses on developing the skills and relationships of middle leaders so they can make meaningful change on their campuses. Campus teams are encouraged to conceptualize innovative strategies to enhance student success, especially for traditionally underserved students. Teams may bring their own specific topic that centers on issues of equity. For example, teams in the 2018-19 cohort explored how to improve first-year retention rates for males of color; ways to build connections to campus life for students from underserved backgrounds; and opportunities to remove barriers facing foster youth that impact retention, access, and graduation rates. Consider ways in which they and their institutions contribute to equity and inequity. All travel, food, and lodging costs are reimbursed by the CSU Student Success Network. The 2019-20 Middle Leadership Academy uses a two-step application process. 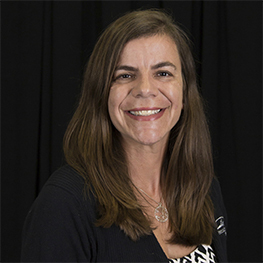 Teams may have up to six participants and should include at least one administrator; faculty member; staff member (preferably from student affairs); an institutional researcher; and a student, if appropriate. STEP ONE: Interested teams must first prepare a Letter of Intent including a 200-word project description, and team member names and roles. LOIs were due April 1 at 5:00 pm. All teams invited to submit a full Application have been notified. STEP TWO: The Student Success Network will contact all team leads with further instructions. Only one application will be accepted from a campus for the 2019-20 Middle Leadership Academy. If multiple teams from the same campus submit a Letter of Intent (LOI), we will direct them to coordinate their applications going forward. The application form will be made available once the LOI period closes. Teams will need to answer three short essay prompts explaining how their team will benefit from participation in the Middle Leadership Academy and one prompt to tell us how we can support your team. Team members must be finalized at this time. Additionally, each team will be required to submit a letter of support from the appropriate administrator. This could be a Dean if the team is housed in one college, a Provost for cross-college topics, and/or a Vice President of Student Affairs for topics primarily housed in Student Affairs. In many cases, a collaborative letter signed by both the Provost and the VP of Student Affairs may be most appropriate. Please send the letter of support to studentsuccessnetwork@edinsightscenter.org. If your team has not heard back from us, please contact us ASAP. Complete applications will be due May 3, 2019 @ 5:00.